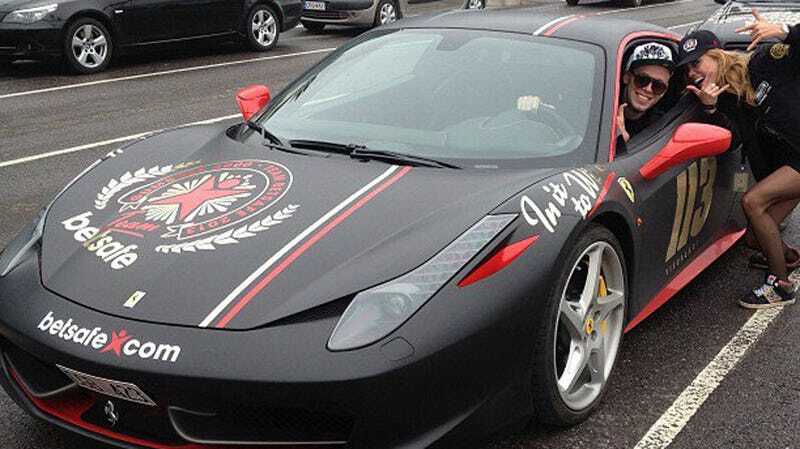 The Team Betsafe Ferrari 458 crashed today somewhere in Latvia on the millionaire cruise night called Gumball 3000. No one was injured but the Ferrari. It is unclear how the crash happened. The road was certainly wet, which has caught out Ferrari 458 drivers before. Other car sites such as Zero 2 Turbo and Autohullut.fi are not reporting any other vehicles involved in the wreck. I personally find it humorous that a team with "safe" in its name had the second crash of the Gumball 3000 following this Lamborghini Murcielago bash, but that's just me. The First Gumballer Bites The Dust!